Last night, I went to one of Vanissar Tarakali‘s workshops, Do It Yourself Trauma: Healing principles and practices to support your personal healing process. I want to follow my own instincts, these desires to let others both help and witness me into my body, to do the incredibly simple but also simultaneously (sometimes) devastating work of just noticing what’s going on in my body and letting it be. Last night Vanissar talked about emotional first aid (she talks about it on her blog here), and then we practiced some of what she described: grounding into the body, physical practices to meet and/or engage with particular feelings, appreciating the body for doing all that it does to take care of us (and this includes our trigger responses, the stuff we do that we don’t want to do anymore because it doesn’t serve us but it did serve us once upon a time), lots more. The three hours flew by! Here’s a great thing she said: if you beat yourself up for the ways that your body responds when it thinks it’s threatened, that’s going to seem like a threat! Whew. What do I want to say about this? This morning I am both more achy and less — the armor around my shoulders (which last night I began envisioning like a pair of shoulder pads, the kind that footballers wear) feels softened. Not gone, just malleable; not penetrable, but able to shift some. Here’s some of what is coming up for me in several different arenas these days, as I am interacting more with somatics/generative somatics work: it’s ok to appreciate how my body has kept me safe, the instincts that my psyche developed to protect us. Getting angry at and ashamed with myself for freezing or walling up or “going away” or getting defensive or… (fill in your own — this certainly isn’t an exhaustive list for me!) only reinforces that I’m in a difficult or dangerous situation; it’s like beating a puppy for doing something you wish she wouldn’t do. This is some powerful unlearning: what happens if I’m curious and appreciative about the triggered-response? What if I can just meet it with gratitude for its wisdom? Vanissar talked about how the body wants to tell us its stories — and we can allow it to, if we can meet ourselves in this way, if we can notice with gratitude and curiosity, instead of (or, sometimes, alongside the) shame and anger and frustration. What if I practice other ways of being in my body? Slowly, the instinctual responses become options, one of many different possible responses to a triggery or dangerous situation. This morning I notice the stiffness in my neck and back, and a kind of swollen energy around that part of my body — I’m about to go meet it with some hot water in the shower, be a little tender to the places I’ve often been frustrated with. I want to write more clearly about all this right now, and, too, I am softened and sleepy and rushed. It reminds me of what happens in the workshops, how there’s no wrong way to respond, how so much of what I appreciate about our workshop method is the invitation to notice just exactly how our writing wants to go, and when we follow that, when we teach our writing voices that we trust them, that our stories are trustworthy exactly the way that they want to come out, other stories begin to emerge, our writing shifts and stretches and expands: not because we’ve forced it to do so, but because we’ve met it with curiosity and appreciation and trust. So what happens if I meet my body with those same principles? Interesting (!) how that feels so new and foreign, in spite of the fact that I’ve got that method for engaging with creative process embedded in my cells! 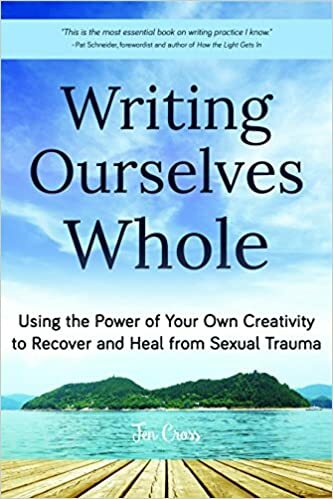 Trauma recovery is creative process, of course, because humans are creative process. Want to write about this some today? Are there ways that you or your characters respond in triggery situations that aren’t working for you/them anymore? What are those responses? Can you write into them with this energy of curiosity, noticing, witness? Can you let them tell their stories? This isn’t necessarily about writing what could be different, but exactly what’s happening now. Let that response/reaction feel the breadth of your attention, be all the way known. Thank you for your brilliant, gorgeous, wise self, for all of the articulated and unarticulated ways that your psyche/body have worked to keep you safe and alive and here. Thank you for your endless and constant creativity, for your good words. This entry was posted in Uncategorized and tagged body empathy, creativity, embodiment, healing, radical self care!, somatics. Bookmark the permalink.